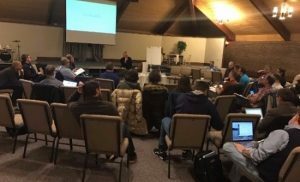 NAB in Chicago this week – North American Baptists, Inc.
As part of our ongoing commitment to a renewed theological vision of the church on mission, NAB pastors and leaders from across Canada and the United States are gathered this week in Chicago learning from Dr. David Fitch. Fitch is the B.R. Lindner Chair of Evangelical Theology at Northern Seminary. He is also an author and the founding pastor of Life on the Vine Christian Community, a church-planting church in Long Grove, IL. Three years ago, David and friends moved into Westmont, IL, to establish a faithful presence in a community where churches closing is normative and the witness of Christ is rare. The result of this move was a new church, Peace of Christ Church. NAB pastors and leaders are being challenged, invigorated, and inspired by David’s richly biblical vision for Christian witness. 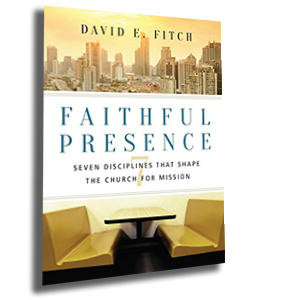 If you have not yet read his latest book, Faithful Presence, click the image to the left. Servant Link is on its way! 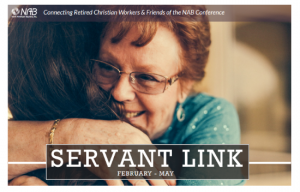 Servant Link is a publication that goes out three times a year, connecting retired NAB workers with one another, with the NAB, and with God. We are grateful to serve our retired servants of the NAB in this way. Click the photo above for the newest edition. If you do not currently receive this mailed publication and would like to, please contact communications@nabconf.org and let us know. 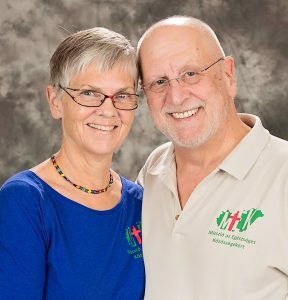 February 5, 2017— Ron and Jeannie Seck, Missionaries, Hungary. Ron and Jeannie began working as NAB missionaries in 2011. Working with Community Health Evangelism (CHE), they use a wholistic approach as they seek to produce healthy Christians, churches, and communities among the Roma in Central Europe. Using their unique giftings, Ron and Jeannie work to transform Roma villages in Central Europe so they are healthy communities filled with healthy Christians and healthy churches. They also do evangelism and discipleship and act as a resource to the churches of Central Europe. Pray for their upcoming travel to be with Serbian team leader, Marijana Cizmanski, in the Dakotas and Michigan as they lead CHE Vision Seminars, which enable understanding about wholistic development and the work of the CHE ministry in Central Europe. For more information, visit nabonmission.org/missionaries/ron-jeannie-seck or their website, justaseck.com.